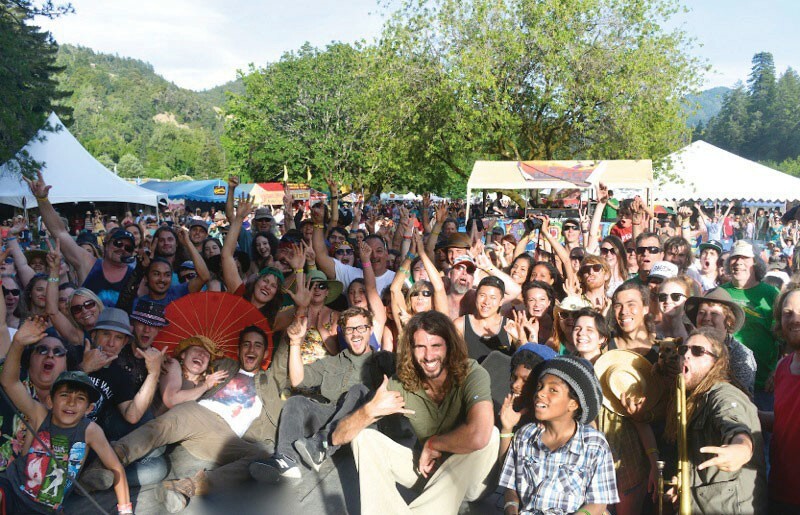 The Summer Arts & Music Festival, June 4 and 5 at the Benbow Lake State Recreation Area ($40 weekend pass, $25 per day), billed as "the most comprehensive celebration of art and music on the North Coast" and voted 2015's "Best Music Festival in Humboldt County" by you, dear NCJ readers, is the perfect way to get that sweet summer vibe going. One of the best bangs for your musical buck, the SAMF presents more than 100 performances by a diverse array of entertainers. Headliners this year include John Popper (of Blues Traveler fame) with Object Heavy & DJ Logic, March Fourth! Marching Band, The Skints and Dehli 2 Dublin, to name just a few. In addition to the imports, you can groove to a multitude of local favorites. Catch the Latin Peppers, NightHawk, April Moore and Ranch Party, Mad River Rose, No Pardon, Asha Nan, Absynth Quartet and a host of others. As the festival's title indicates, there's plenty of art to behold against the backdrop of the river and redwoods. From the Fine Arts Showcase to the Belly Dance Temple to homemade art, food and information booths to a lively Kids Zone, there's much to enjoy, and all-day/night to do it. Gates open at 9:30 a.m. with the party going from 10 a.m. until 10 p.m. both days.